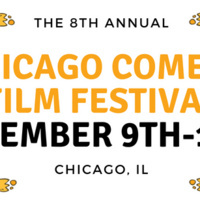 The 8th Annual Chicago Comedy Film Festival: November 9—11, 2018. Chicago's premiere comedy and film event is coming to Columbia! Free to students, staff, and faculty. Three days of films, videos, comedy projects, and more on campus!